This project was successful, at its core, because of the people. Indigenous youth and young adults, Elders and knowledge keepers, and community and national leaders along with strong allies made for spaces that allowed for discussions, dialogue and experiences rooted in the sacred teachings held by so many Indigenous Peoples in Canada. By practicing good and honourable ways of being together, allowed for the outcomes to be rooted in in these values. Here is the team who helped shape this journey. Click Here To Meet The Carriers of Youth Wisdom. Click Here to Meet the Co-Creators. The Rideau Hall Foundation gathers, aligns and catalyzes ideas, people and resources to move the Canadian spirit and our shared aspirations forward. As an independent, non-political charity, the Foundation works closely with the Governor General and many external partners to support initiatives that build our identity, build capacity and promote the advancement of a caring nation. Learn more about the exciting and important work of the team at the Rideau Hall Foundation. Three Things Consulting is an Indigenous owned and incorporated company, originally a collaboration between three innovators with a combined experience of more than seventy years in evaluation, youth gathering development and management, community and youth engagement, project and research development and implementation, training and capacity building, facilitation, assessment, strategic planning, partnership/program development and knowledge sharing. Our roots and process are tied to a core lesson learned from our work: people matter, are important and belong. We are proud to be the facilitators of Enhancing Indigenous Education Through Co-Creation. Shannon Monk Payne is of Mi’kmaq and European descent, and a member of St. Theresa Point First Nation, an Oji-Cree fly-in community in northern Manitoba. Shannon’s academic accreditation includes a Bachelor of Arts in Native Studies and Bachelor of Education from Brandon University, and a Professional Masters in Public Administration with a focus on Indigenous Policy and Governance from Queen’s University. Shannon’s professional background is in education, working primarily with First Nations. She has taught all grades from Kindergarten to grade 10, mainly on reserve, including time as a Teaching Principal and Special Needs Coordinator (Manitoba). As well, Shannon has worked as an Adult Educator, Trainer, and Employment Counsellor (Nova Scotia), a university Learning Skills Counsellor (York University), a Resource Centre Executive Director, and Aboriginal Education Coordinator (Northwest Territories). She was employed with the Assembly of First Nations for six years as a First Nations Education Policy and Research Analyst and Community Liaison for Residential School Survivors (Alberta, Ontario, Manitoba, Northwest Territories, Yukon Territory). Shannon is the lead for AFN’s It’s Our Time First Nations Tool Kit, and is continuing her work with Manitoba and Apple Computers to implement the Tool Kit into all schools. Shannon has an extensive background in program development, facilitation and coordination. This includes years of experience providing professional development opportunities for senior level administrators and educators. These events brought together the experiences and knowledge of many well-known and high profile Indigenous leaders and knowledge keepers. Shannon’s experience engaging school survivors in over 60 First Nations communities as part of the Personal Credits process under the Indian Residential School Settlement Agreement provides her excellent insight into how best to engage in challenging discussions with adults with diverse, and often painful lived experiences. 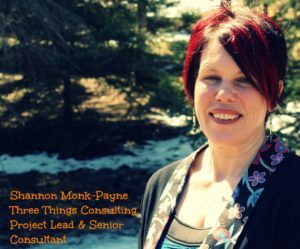 Since 2015 Shannon has worked with Three Things as a senior consultant and been the lead on a national project working with a national education organization in its development of future programming for Indigenous students as well as a national project engaging thought leaders, education experts and Indigenous leaders as co-creators in pursuit of building on wise and best practices in Indigenous education. Saimaniq, originally from Kimmirut, Nunavut is a recently turned 18-year-old and currently completing high school in Kingston, Ontario, graduating in June 2016. Since he was 12 years old, Saimaniq has been part of the sail training program run by Brigantine Inc. and was recently selected to represent Canada during a three-week voyage aboard the Shabab of Oman, a 285-feet-long sail training vessel operated by the Royal Navy of Oman. Saimaniq is a recognized community volunteer and in early in 2016 was honoured for his role in sailing when he was the named the Youth Sail Trainer of the Year by Sail Training International (STI), the youngest ever and first Inuk to be honoured with this award. As a project support staff, Saimaniq provides insight and expertise from a youth and northern perspective. He helps ensure our work is relevant to young people and he provides insight and guidance as we work with our northern partners. He authors blogs, helps design other communication materials and provides logistical support on our projects. 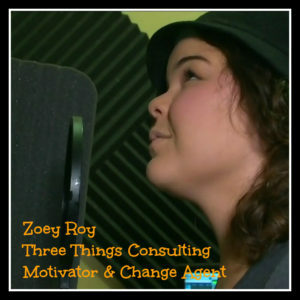 Zondra (Zoey) Roy is student at the University of Saskatchewan in the SUNTEP Program pursuing a Bachelor of Education. Zoey has come a long way in her education both within systems and her community. Not one to let school get in the way of her education Zoey complements her formal schooling by building a deeper understanding of cultural and traditional knowledge from her Métis, Cree and Dené roots. Those roots stem from Green Lake, Black Lake Denesuline Nation and Cormorant Lake, Manitoba. Zoey grew up in rural, remote, and urban regions throughout Canada. As a Cree, Dené and Métis woman, Zoey has had to find her own understanding of the world recognizing her ancestral views, and has done this through traveling and learning from people, sharing circles, ceremony and research. Through her journey, she has learned to understand that her privilege to inherit all three ways of life is her gift and through an innate instruction, she is able to bring people together, from all different walks of life, to learn from each other. Zoey continually reinforces Three Things key messages to youth and adults alike: you matter, you are important and you belong. Other national initiatives she has supported the facilitation of healing circles with women who had been trafficked and sexually exploited. Most recently, her first book, homecoming, was published and released. It has sold out its entire first printing. Her ability to bring together leaders, change agents and the marginalized to create change is why we nominated Zoey for, and for what she was honoured this year as, the 2016 Indspire Métis Youth Award winner. A learner, from all aspects of her life, a respectful and honourable challenger and thought provoker, a visionary that sees her place both in the community and within systems, Zoey is creating change for all people whose paths have not always been the most simple. 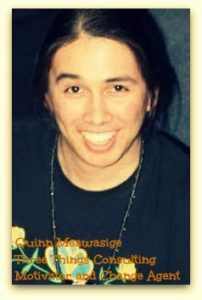 Quinn Meawasige is 22 years young from Serpent River First Nation along the North Shore of Lake Huron. It is Quinn’s passion to work with and for young people. Elected as the youngest Council member ever to serve a term on Chief and Council in his community’s history from 2012-2014, Quinn current holds the male youth representative position for the Anishinabek Nation, also known as the Union of Ontario Indians. He is also a member of the Chiefs of Ontario Ontario First Nations Young Peoples Council. Through advocacy, lobbying and grassroots organizing, Quinn works to improve the quality and standard of living for Indigenous Youth across Canada and Turtle Island (North America). A natural leader, Quinn brings with him vast lived experience, traditional knowledge and a personality that allows others to easily connect with him and understand that Quinn is caring, compassionate and easy to engage with. We are grateful for the energy and commitment Quinn brings to the project. Lynzii Taibossigai is Anishinaabe kwe from M’Chigeeng First Nation and Manitoulin Island. She is the proud Auntie of three nephews and one niece and has over 160 cousins! She has a diploma in Hotel & Resort Administration from Georgian College and she has studied Modern Languages at Laurentian University and Indigenous Environmental Studies at Trent University. She is also trained in Rediscovery and Outdoor Adventure Leadership and a certified Canoe Instructor. Lynzii has travelled to Guyana, South America on a Youth Internship and facilitated a Youth Leadership & Empowerment course to Indigenous students in at the Bina Hill Institute. In 2009, Lynzii was selected as a member of the Canadian Youth Delegation to COP-15, the UN Climate Change Conference in Copenhagen, Denmark. Lynzii was invited to be a member of the Ontario First Nations Young Peoples Council and assisted with the development of a Life Promotion Strategy, Tobacco Protocol, and Youth Engagement Bundle while serving on Council. Lynzii has been an inspiring FUN (Friends Uniting for Nature) Camps Coordinator in Vancouver, BC and was among the first staff of the TRACKS (Trent Aboriginal Culture Knowledge & Science) Camps initiative at Trent University. Among all of her adventures, Lynzii’s heart remains at home on Mnidoo Mnising – Manitoulin Island where she is the founder of LOVE Shkakmi-kwe Project, a community based environmental awareness initiative. She is currently working with M’Chigeeng Health Services by co-facilitating an all girls empowerment project called, the M’Chigeeng Lil’Sisters and works with Canadian Roots Exchanges, which provides Indigenous based leadership, learning and reconciliation experiences to Indigenous and non-Indigenous students. Lynzii has travlled across Canada with Three Things Consulting as part of a national evaluation project for the past four years. Crystal McConaghy is the Executive Assistant to the CEO of Three Things Consulting and the logistics manager for this project. She provides communications and logistical management for other Three Things Consulting projects. Born and raised in Kingston, Ontario Crystal remains a resident of the city with her partner, 12-year-old daughter and a house full of pets. Having worked in post-secondary education, in the administration department, Crystal spent almost six years supporting students as they transitioned into college. Often called upon to provide employment seeking support for students, Crystal has an excellent understanding of the challenges facing adults returning to academia. With a degree in Sociology from Queen’s University, Crystal understands the value of and believes education for Indigenous youth matters, and equitable education for all young people is important. Pytor has been active in supporting street involved, sexually exploited and trafficked children and youth, youth in/from care and custody, and Indigenous young people since his teenaged years. Rooted in a respectful approach that recognizes traditional ways Pytor has collaborated and worked with more than 45 First Nation communities in Canada and hundreds of community organizations, governments and systems. As an Anishinaabe who walks the red road, Pytor continues to provide meaningful opportunities for people to build skills and capacity to complement their natural assets in addressing community issues. 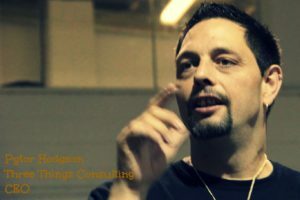 As CEO of Three Things Consulting he helps organizations and governments create processes, programs and opportunities for youth and community engagement, research and innovative evaluation. He inspires youth and influencers to make their lives healthier and communities stronger, with a deep understanding that they matter, they are important, and they belong. A sought after commentator on youth and community issues Pytor has been an advisor to government, (including as an inaugural member of the Ontario Premiers Council on Youth Opportunities), charities (as a member of the National Task Force on Trafficked Girls and Women) and as a speaker at conferences, trainings and special events Pytor has spoken in over 1000 settings including workshops, panels, plenary and keynote sessions to local, national and international youth and adult audiences.